This podcast episode is now available in the Occult of Personality Membership Section. Join now to receive access to this recording and over a hundred more! In podcast episode 86, we’re joined by Etta D. Jackson. Etta has written several interesting and important works, including the subject of our conversation which is her first book entitled “Understanding Your Choice,” (also available as an eBook PDF download and an audio book). Etta tells us about her background and mission to assist humanity in becoming liberated. She then delves into the fascinating story of how she was guided in writing “Understanding Your Choice,” which explains the journey of humanity from the descent into matter to the path of return. We explore the synchronistic events surrounding the creation of the book, which she tells us is not simply an esoteric exposition, but a vibrational force and transformational tool. Etta’s work delves deeply into the most profound questions to which ageless wisdom provides answers. Her explanations of Tarot, Astrological, and Qabalistic correspondences are elegant and easy to understand. Her analysis of astrological ages and humanity’s purpose is uplifting and inspiring. She has a gift for conveying the wisdom of the Western Mystery Tradition in clear, concise language. 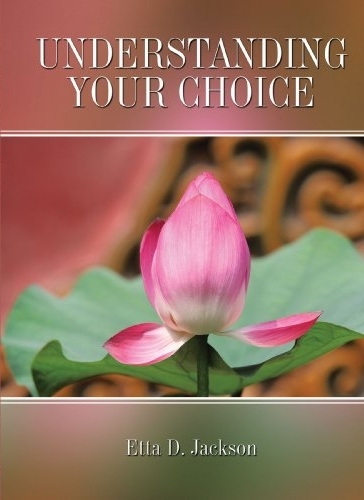 “Understanding Your Choice” is well-written, interesting, accessible, and revealing. I recommend it. Please join Etta and I in the Occult of Personality Membership Section for the second half of the interview where Etta discusses Freemasonry, the New World Order, the role of the Jewish people throughout history, the Age of Aquarius, the inner teacher, and more. Join me for “Atlantis – Myth and Reality of the Lost Civilization” on Wednesday May 19th at Eternal Balance in Beverly, Massachusetts.